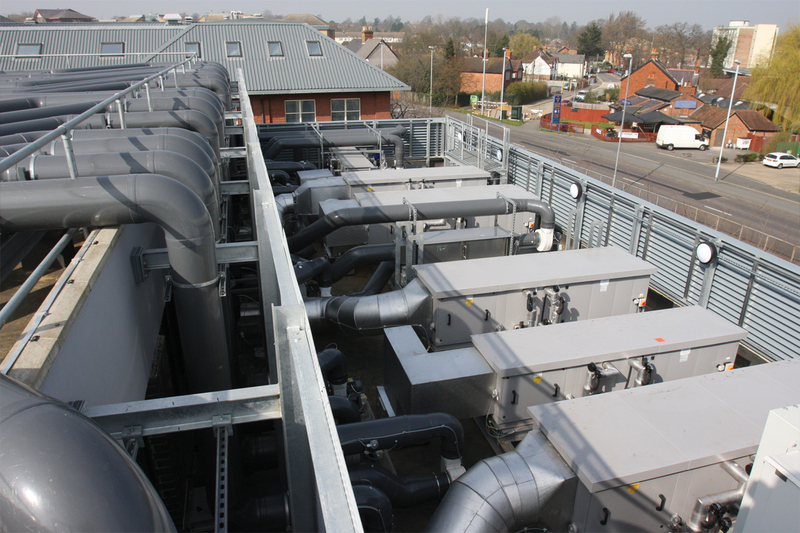 Full duct work extraction systems. 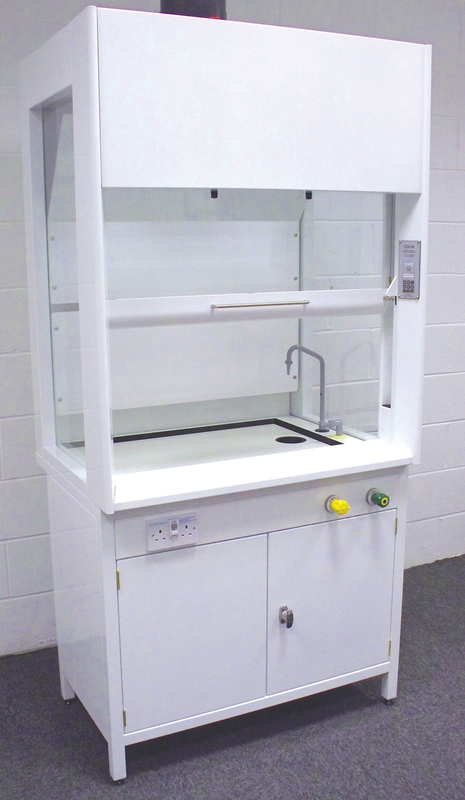 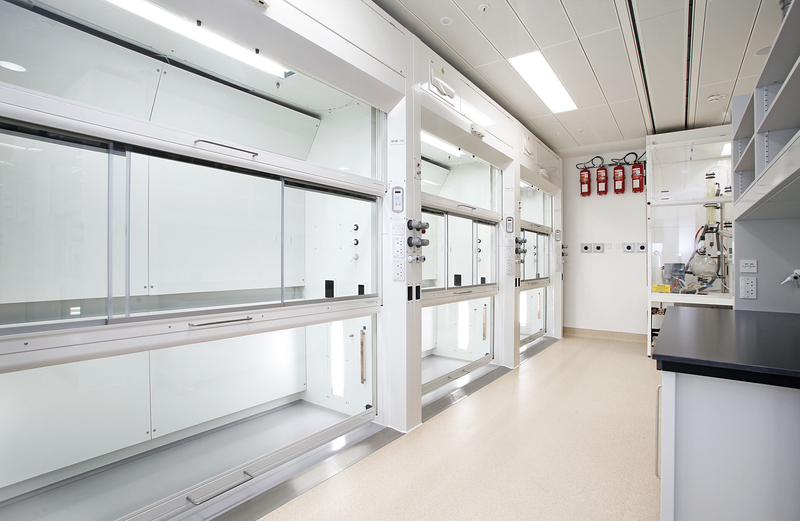 School fixed / mobile fume cupboards available with extract out or recirculation air handling systems. 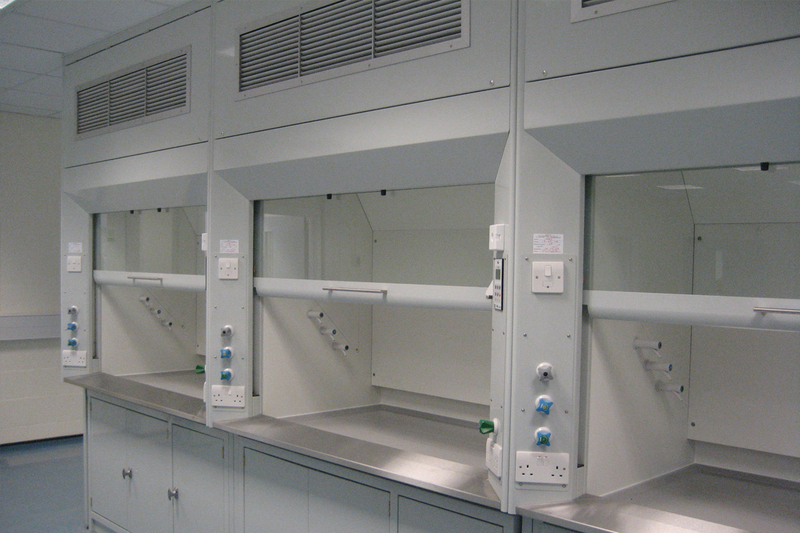 Built in fume cupboards with vented chemical storage below.